What Is The Best Way To Dry And Cure Your Bud? Looking for an easy way to dry your buds? Here’s how to dry and cure at home. Properly curing and drying your bud can dramatically improve the taste and overall quality of your crop. Drying is the process of transforming fresh-cut flowers into the dense, smokable buds you find at a dispensary or coffee shop. Curing is the process of correctly aging the bud, enhancing aroma and overall experience. To dry and cure right, however, there are a few things you should know. Here is the best way to cure your bud. What is the best way to dry your bud? Drying your bud properly can be a bit tricky in certain climates. The humidity has to be just right, otherwise, you may find yourself with flowers that are either too dry or at risk of molding. The optimal temperature for your drying room is 70°F (21°C). While drying, humidity in the drying room should be kept at 50%. The room should also have decent air circulation, to help prevent molds and mildews. If your humidity is less than 50%, your buds risk becoming too dry and crispy. This is more of a risk in hot, arid climates. Those in northern latitudes that get a lot of rain or are prone to molds and mildews should be extra attentive during the drying process. If your cannabis is left in a garage, basement, closed closet, or attic, there is a high probability that your herb will be exposed to condensation or dampness. It’s recommended to run a dehumidifier regularly and keep an eye on a humidistat. For best results, dry buds slowly over the course of three to seven days. The overall drying time will change depending on the climate in your area. In wetter climates, the drying process will likely finish up toward the end of the week. Drying slowly is thought to enhance flavor and improve the overall experience of the finished herb. Transfer to cure jars when stems begin to snap, not just bend. It’s important to check your buds throughout the drying process. If they begin to get too crispy, they are getting too dry and you need to gently increase humidity. If parts of the buds aren’t drying, you may need to adjust air circulation and decrease humidity. After drying your bud, there is still one more step to go. Once you take your buds down, you’ll need to place them in size-appropriate glass or metal containers with humidity packs. The optimal humidity inside the jar is 60 to 65%, and inserting humidity packs will help ensure that your herb remains at the proper humidity levels at all times. Try CVault Storage Containers, available at the Herb Shop. These handy containers control humidity. 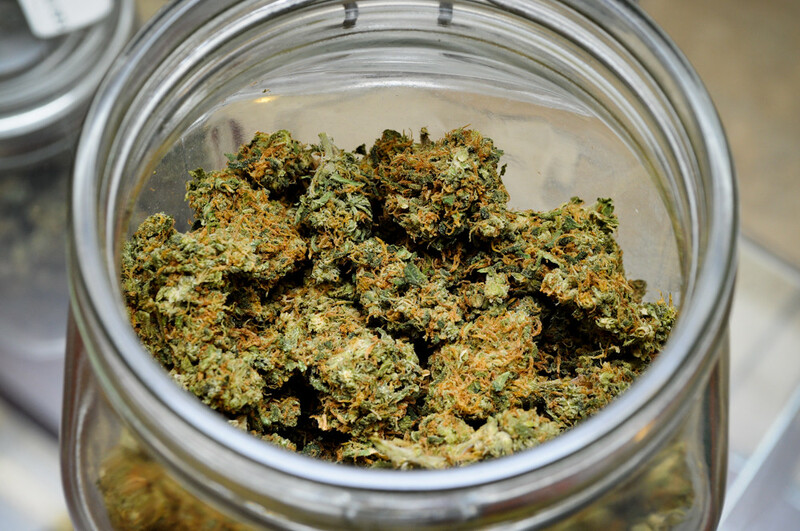 Buds can be cured at room temperature, which is about 70°F (21°C). The flowers should be left to cure for two to four weeks before they are ready to be taken out and consumed. During the first two weeks, it is important to “burp” your jars. While buds from the plant may seem very dry once put into the jars, remaining moisture will seep out of the strain as it cures. To prevent mold and mildews, make sure to give your herb plenty of breathing time, with the lid completely off of the jar. In humid climates, buds may take longer to dry out while being burped. Once finished, the sooner you take the buds out of the cure jars, the grassier the taste will be. If you really want to make things nice, let your buds cure for two to six months. 1. Keep the environment as clean and as dust-free as possible. Mold spores and dust float freely through the air, potentially exposing your sticky flowers to allergens that will not come off before smoking. 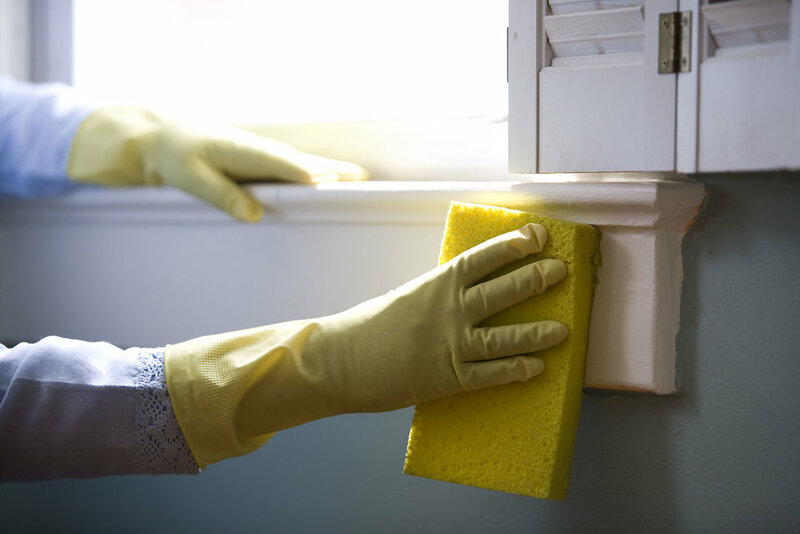 Keeping the drying environment as clean and dirt-free as possible will help prevent contamination and reduces your risk of mold exposure. After all, no one likes cat hair on their herb. Whether you’re growing or buying in bulk, investing in some humidity packs will keep your herb nice and hydrated throughout the curing and storing process. Packs that provide between 60 and 65% or ideal. While drying, a significant amount of moisture leaves the buds. Humidity packs re-hydrate the herb and keep your buds nice and pliable. For more information on drying and curing, check out the full article here.